Providing nutrition meals for your family is important, but the cost of the groceries it takes to prepare them can certainly affect what you are able to do. To help offset the cost of preparing meals, you need to plan well for it. Too many items we use to make meals end up going in the trash. If you only need ½ a head of lettuce then plan another meal to use the rest of it so it doesn’t end up in the trash. While it does take longer to prepare home cooked meals, it is less expensive than buying frozen products that offer you more convenience. 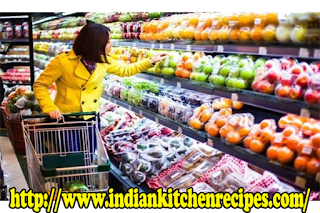 They will generally run you twice as much as the ingredients you need to prepare the foods yourself. If time is an issue, consider using one day a week to prepare various meals that you can freeze for later in the week. It is understandable that everyone wants to cook with the ingredients that will make foods taste the best they can. Yet most of us purchase items at the grocery store based on a name brand we are familiar with. Have you ever stopped to compare the price with store brand? If not, you really need to as you will be shocked at the price difference. Yet in most cases the store brand of a given item is every bit as good as the name brands. A couple good examples of this include cereals and sodas. Name brand boxes of cereal can cost you around $4 per box. When you purchase the store brands that come in plastic bags instead of the boxes you will find you get twice as much cereal for less than ½ of the cost. I pour those larger bags into airtight storage containers so they stay fresh. Popular soda like Pepsi and Coke cost over $2.50 for a six pack. You can purchase the store brand Cola for about $2.50 per case. Yet they taste every bit as good as those name brand sodas we often associate with. I guess mentally we think that the higher price means better quality but that isn’t always the case. Many people like to cook with various herbs but the cost of them can really add up. Since they aren’t necessary it is a common area where people choose to eliminate from their shopping list. For very little money you can grow your own herbs in your yard or even in a small kit that sits on your kitchen window. It can be a fun process to do with your children and you will have the different herbs you want to cook with but not the expense associated with them. You can also grow your own vegetables in a small garden area of your yard. It doesn’t cost very much to purchase the seeds. You may even find tending to your garden offers you a place to relax and reduce your stress levels. My family eats lots of strawberries but they are one of the most expensive fruits at the grocery store. We now grow our own so we can enjoy these delicious berries all we want when they are in season. If you decide to purchase fresh vegetables or fruits from a grocery store, get those that you have to chop up on your own. While purchasing those that have already been sliced for you is more convenient they will cost you more for the same product. Meat is one of the most expensive items you will find in a grocery store. Unless you live with a family of vegetarians, you will have to pay the price they are asking for it. Look at the per pound cost of meat before you purchase it. You will find the larger packages offer you a lower price per pound. Buying these larger portions and then separating them into the right sizes for your meals once you get home is an excellent way to lower the amount of money you spend on the meat your family eats.